Reduce Indoor Allergens in Your Home - Columbia Builders, Inc. Struggling with those spring allergens already popping up in your home and causing itching or sneezing? Read our tips to reduce the problem. 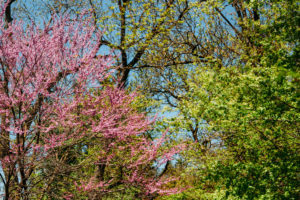 With the official start of spring this week, the landscape will be budding and blossoming. High pollen counts are sure to follow sending allergy suffers indoors once again. Although nearly one in five of us suffer from some type of allergy, irritants don’t just lurk outside. From dust to pet dander and even mold, indoor allergens bring on symptoms as well, and at any time of year. With that in mind, there are some steps you can take to reduce allergens and create a healthier living environment. Cleaning your home consistently is the key to reducing indoor allergens. Begin by eliminating outdoor irritants from entering your home. When pollen counts are high, keep windows closed and remove shoes before coming inside. Be sure to regularly change your HVAC system’s filter too, as these steps will all improve your indoor air quality. Frequent dusting and vacuuming are important as well – microfiber or damp cloths work best, along with a vacuum that includes a HEPA filtration system. If you have pets, consider keeping them off your furniture and in an area where there is hard surface flooring, which is much easier to keep clean. Lastly, if you own an older home, solve any water problems you might be facing. Mold is an irritant that can become a more serious health concern when left unchecked. Carpets can be comfortable under foot, especially in our living room or bedrooms, but they are also magnets for allergens. You might find relief by investing in hard surface flooring instead. Wood floors, tile and laminate flooring are widely available in nearly any style and color. Draperies can also be a dust catcher, along with upholstered furniture. If your symptoms are severe and your budget allows, consider replacing heavy window treatments with lighter panels or blinds, and splurge for a leather couch or chairs. Allergy and asthma specialists recommend these changes to their patients, to improve their overall health. Proper rest and sleep are necessary to our overall well being. If your mattress is more than ten years old, replace it – and pillows need to be replaced even more often. Older mattresses and pillows can be overrun with dust mites, causing symptoms each night. If you’re sleeping on a newer bed, seal up your mattress and box spring with allergy reducing covers. Covers are also available for your pillows, and the investment can provide quite a bit of relief. Washing your bedding in hot water each week is also essential, and the same advice for removing carpeting, heavy draperies and upholstered furniture remains. Keeping your bedroom pet free will also go far in improving your allergy symptoms, and promote better sleep and happier mornings! This entry was posted on Friday, March 22nd, 2019 at 10:56 am. Both comments and pings are currently closed.